Now the co-owner of the label Brontosaurus will release with DELTA NRG another solo record under his family name Lauer. The 12inch comes along with a Mock & Toof remix and will be out on Permanent Vacation. 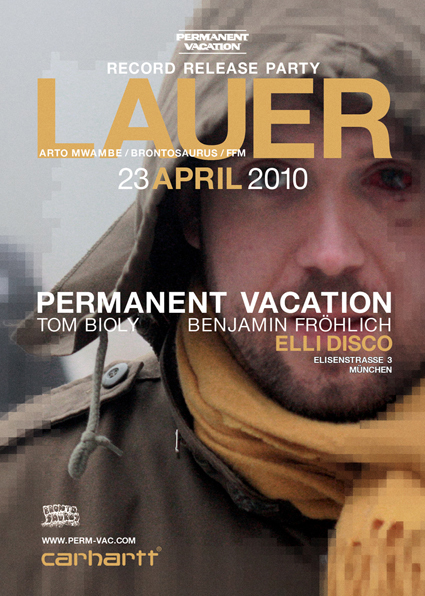 To celebrate the birth of his grooving nugget the Permanent Vacation folks invited Lauer to Munich in order to deliver one of his multifaceted epic House voyages. Before and after his show Tom Bioly and Benjamin Fröhlich will also confect a multidimensional DJ set. If you want to find out how this might sound, just listen to the Permanent Vacation Carhartt Radio edition and get lost in some Cosmic, Disco, and House atmospheres.